Follow the latest Parkland school shooting news, videos, and analysis from ABC News. The Marjory Stoneman Douglas High School student was found dead Saturday night, according to the Coral Springs Police Department. 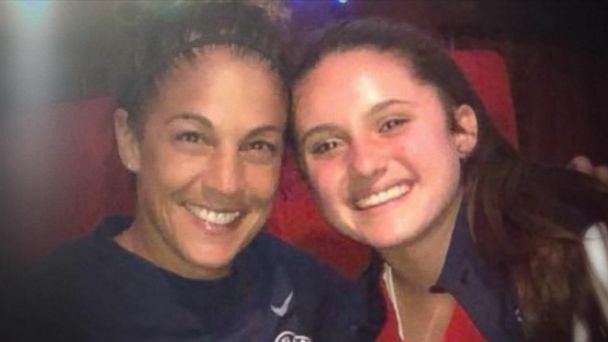 One of the teens was a friend of Parkland massacre victim Meadow Pollack. Police say the student was found dead Saturday, less than a week after Sydney Aiello took her own life. On "This Week," Martha Raddatz reflects on the mass school shooting that killed 17 people in Parkland, Florida, one year ago. Thursday marks the first anniversary of the deadly shooting. 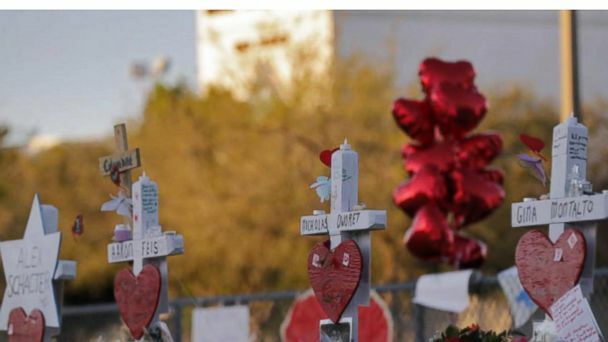 Lori Alhadeff pens a Valentine's Day heartfelt letter to her daughter on the first anniversary of the Parkland massacre. Memorials are taking place to commemorate the Marjory Stoneman Douglas High School shooting which claimed the lives of 17 people. 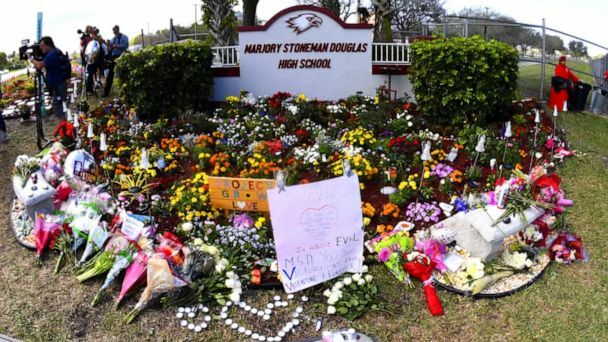 Thousands will hold a moment of silence to honor the 14 students and three staff members killed one year ago at Marjory Stoneman Douglas High School. Florida Gov. Ron DeSantis is asking for a grand jury to review school safety statewide. ABC News' Kenneth Moton reports. 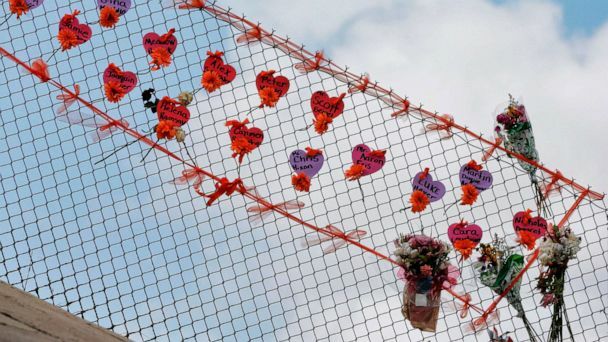 One year after the deadliest school shooting in U.S. history, some Marjory Stoneman Douglass student survivors and victims' parents turned their pain into activism to fight for stronger gun laws. "It’s like where we started and the fact that we are here talking to you almost a year later, and we are still going and growing -- it means the world," said one student. During the hearing, Rep. Matt Gaetz, R-Fla., said illegal immigration, not guns, is a major factor behind acts of public violence that have plagued the nation over the past two decades. The father of a Parkland shooting victim clashed with a Florida Congressman at the first congressional hearing on gun violence prevention in almost a decade. 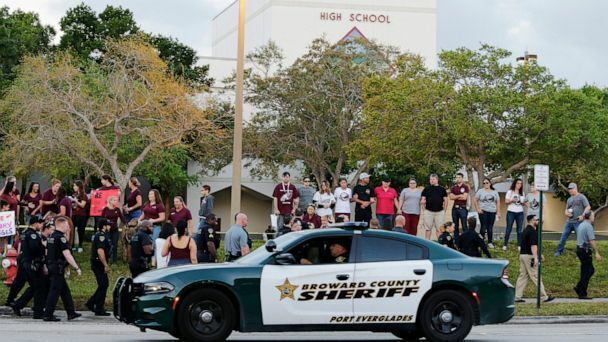 A man was charged in Florida with threatening to kidnap and intimidate relatives and friends of students who were killed in the Parkland high school mass shooting. The sheriff has come under withering criticism for his handling of the massacre. Surveillance video of Nikolas Cruz inside Marjory Stoneman Douglas High School during the massacre was released along with a report highlighting security failures. 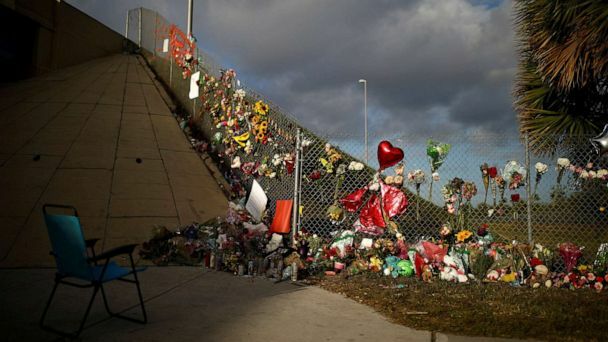 A commission tasked with investigating the Parkland high school massacre in Florida highlighted security failures. Parkland shooting survivor and student activist David Hogg was mocked for being rejected from UCLA. Now he'll be attending Harvard. The Trump administration has released a report on school safety from a commission created in the wake of the high school shooting in Parkland, Florida. Coral Glades High School is a mere 10-minute drive away from Marjory Stoneman Douglas High School. “The AR is the most popular rifle platform in the U.S.,” an expert said. The young activists who inspired the March For Our Lives for gun reform are encouraging people their age to vote. Emma Gonzalez, Matt Deitsch and Delaney Tarr appear live on "GMA" to discuss their new book and their movement to encourage young people to vote. ABC News' "Nightline" spoke with Brooke Harrison, who returned to classes at Marjory Stoneman Douglas High School, where 17 people were killed in a shooting on Feb. 14, 2018. 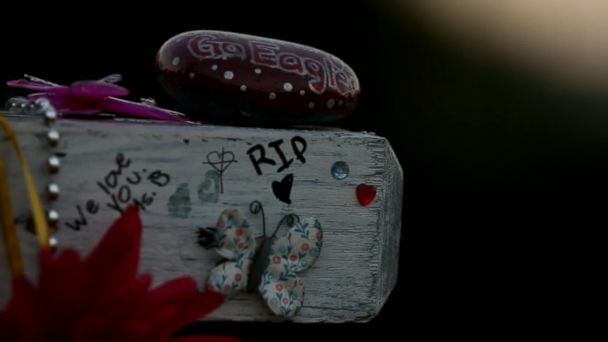 Six months after deadly shooting students in Parkland, Florida return to a new normal. "Everyone's glad to get back and be reunited," Broward County Schools Superintendent Robert Runcie said at a news conference Wednesday morning. Nikolas Cruz described a so-called demon in his head. He spoke to a Florida detective about hearing a demon in his head for years. 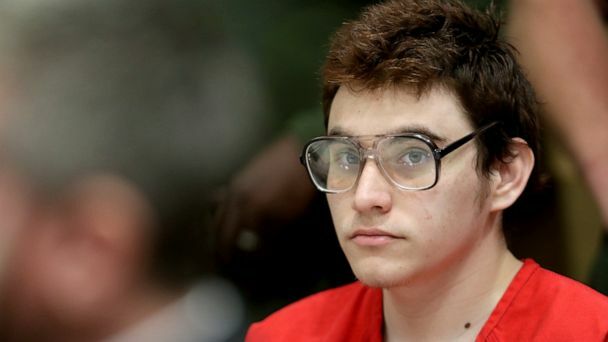 Nikolas Cruz told the detective he'd attempted suicide and had heard a demon voice in his head for years. Authorities have yet to release details on why Nikolas Cruz allegedly stormed into Marjory Stoneman Douglas High School with an AR-15 and opened fire. A Florida appeals court Wednesday ruled that a trove of security camera video footage from the site of the February school mass shooting must be released. The Parkland school shooting survivors appear live on "GMA" to discuss the #NeverAgain movement and their new book. The Chicago rally kicked off the “March for Our Lives: Road to Change” tour. They delivered a powerful performance just minutes after their teacher was honored for her heroism during the school shooting. ABC News' Kendis Gibson reports.